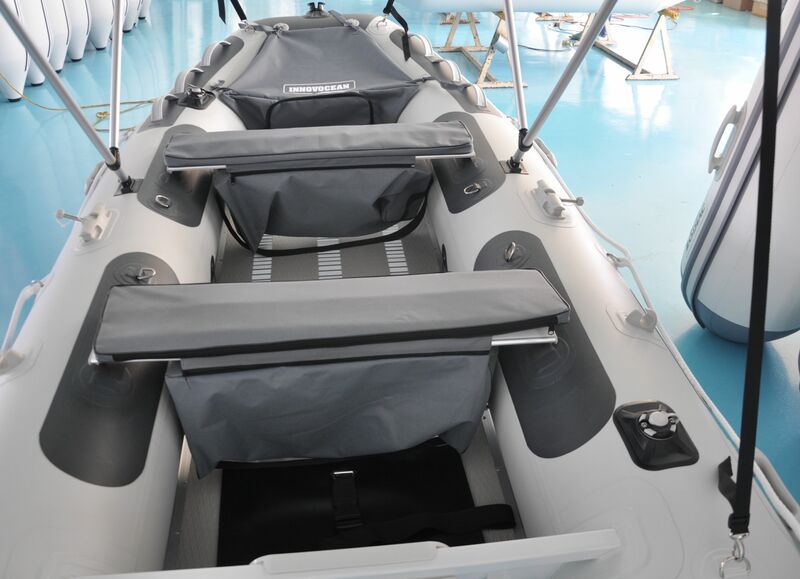 Inflatable boats are widely used in entertainment application like fishing. However the traditional boat manufactures do not add too many equipment on the boat. When clients need some application they need to DIY or special order to install it. It usually cost lots for installation fee. Right now Innovocean Marine change it and have factory pre installed solution applied to their boats. So that many application are ready and clients can simply add more equipment in seconds. 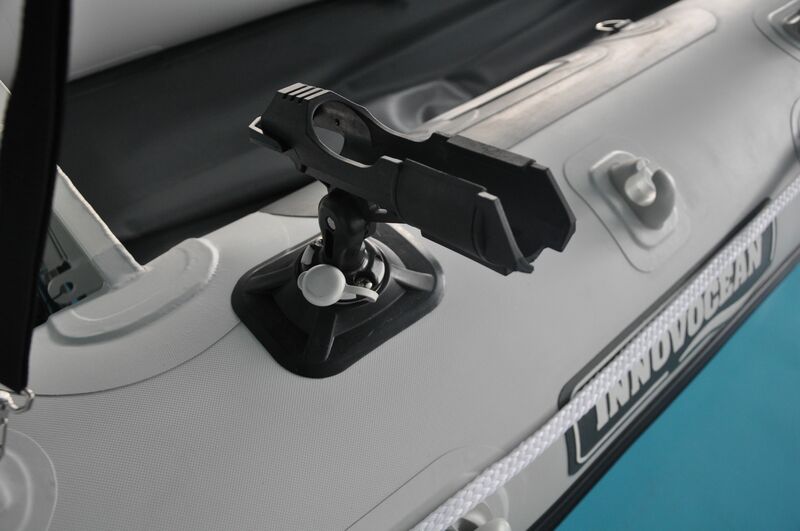 Innovocean pre-installed universal bases for Rod Holders, fishfinder and GPS. 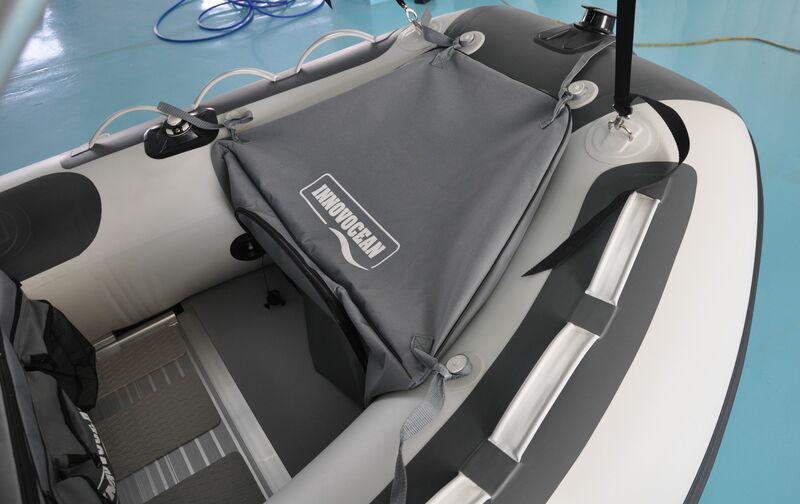 Innovocean also pre installed Anchor Tie-off Holder, Wheel Brackets, and canopy mounting base. Clients can easily install additional equipment by their needs without the expensive installation cost. Material and parts are engineering tested at first. Quality Inspection is strictly performed during every production step. All the boats meet the ISO standards and Transport Canada Standards. 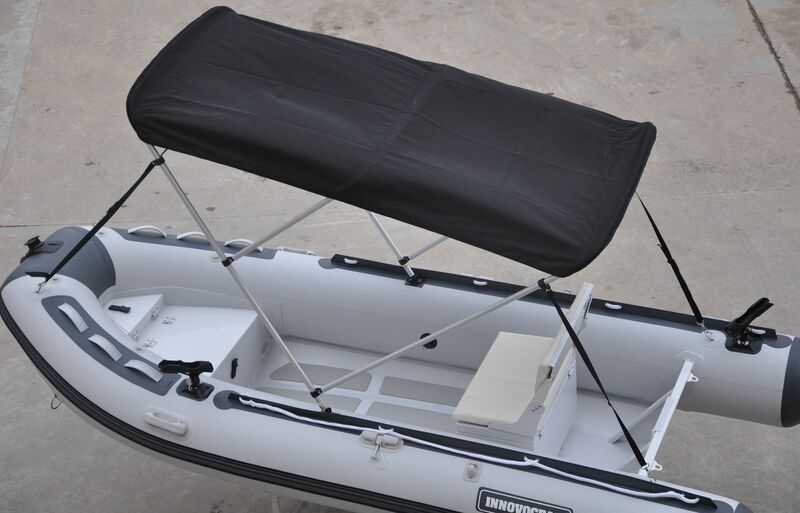 We use the German Mehler-Valmex® PVC, one of the specific PVC designed for boats. It has various featrues: UV and weather resistant and dirt repellent. Most of the PVC fabrics consist of a strong, close-weave mesh of polyester or nylon material which is sandwiched between 2 coatings. Many PVC layers are joined by glue. However, the German Mehler company uses melt-roller coating to combine these layers together. The two coatings are also thicker than other types of PVC. This material has a coated fabric with lacquered surface. When a drop of water contacts it, the contact angle between the surfaces is more than 90 degree, while other materials have the angle less than 90 degree. This feature keeps the water off the surface and protects the PVC from corruption. 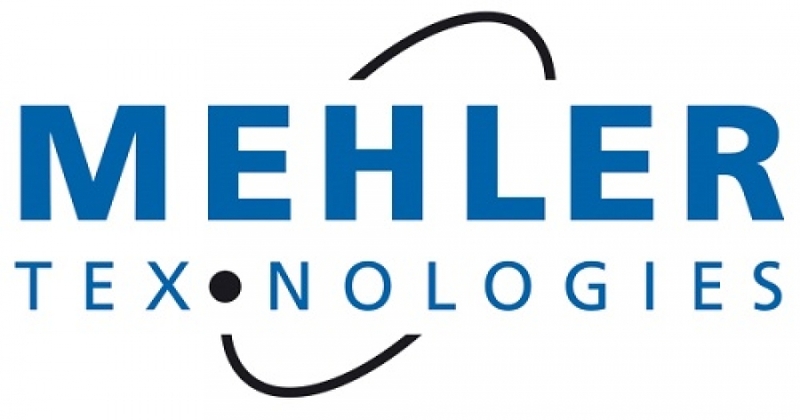 We use computerized machine-bonding technology to connect air holding component. This is called thermal welding. There is no chemical glue using in the air holding parts. There are many advantages without using chemical glues. All chemical glues have a lifespan shorter than the PVC fabrics. They are easy to get loose and create an opening on the seam. Chemical glues are harmful to the environment, too. With the thermal welding technology, we can get rid of them. We use the aluminium alloy transom plates. They are as light as plywood or fiberglass transoms. However, traditional wooden or plastic transoms are easy to absorb water and become corrupted. Therefore wooden or plastic transoms usually have shorter lifecycles than the boat hull. Aluminium transoms are much more durable. Because of the chemical feature of aluminum, aluminium transoms are hardly gets corrupted, even in sea water. The aluminium alloy is completely recyclable so it has some environment-friendly bonus. We added extra layers of material around the benches, handles, Transom area, D rings to reinforce these parts. *Two Load Bags: a heavy duty easy load bag for your boat and an XL bag for your floor and accessories Easy to carry and easy to storage boat in winter season. *Bench bags with Pad: More storage and hot prevent. 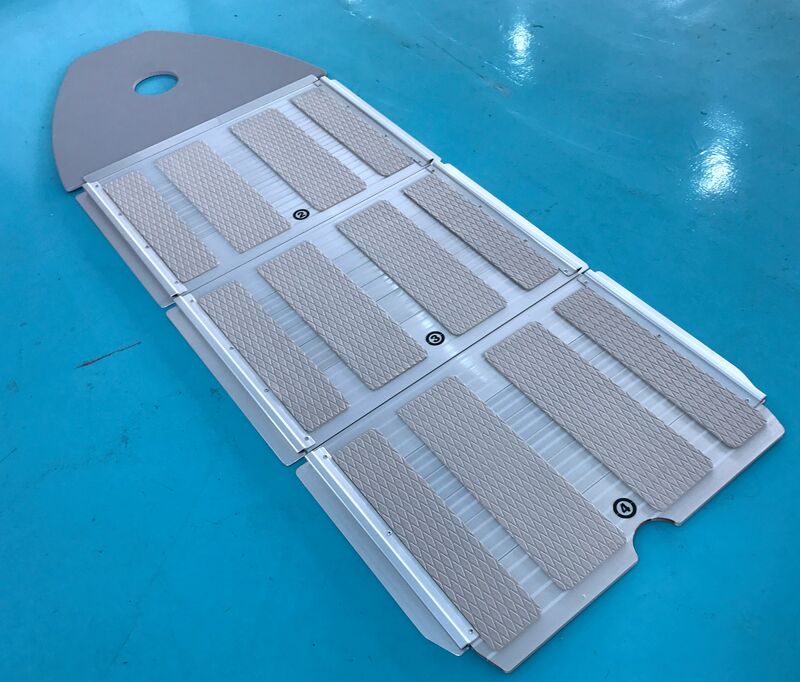 *Aluminum floor with Eva pad: Anti-Slip and hot prevent.